In 1923, the building on Bay State Road was built by Bay State Road Company and called ‘The Sheraton.’ If you look above the balcony on the second floor, you will see ‘The Sheraton’ still engraved into the building. At the time, the property was used as residential apartment buildings. In total, there were 123 apartments that were rented out to affluent Bostonians who wanted to live in a nice part of town. In the 1930s entrepreneur, Ernest Henderson started acquiring properties around the country. In 1939, he bought ‘The Sheraton’ and renamed his entire company after the building. Henderson created Sheraton Hotels, which are still around today. Due to its view of the Charles River and its proximity to Fenway Park, the Sheraton was a great place to live in the mid-20th century, especially if you played for the Red Sox. Ted Williams lived at The Sheraton for a while during the 1950s. Nobel laureate and Pulitzer Prize-winning playwright Eugene O’Neil also lived in the building for three years. O’Neil was considered a genius and one of the first real American playwrights. Unfortunately, he suffered from a rare neurological disease that made his life difficult. In 1953, he came down with pneumonia and died in his room on the fourth floor. 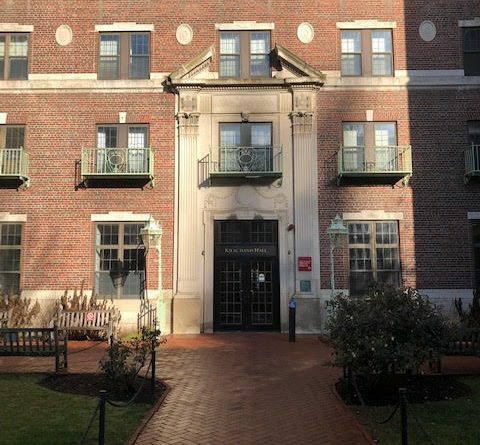 The building changed hands several times over the years until it was purchased by Boston University in 1954. After years of being residential apartments, The Sheraton became a dormitory named Shelton Hall. However, the school decided to name the fourth floor ‘The Writers’ Corridor,’ in honor of Eugene O’Neil. In 2010, the building was renamed Kilachand Hall when Kilachand Honors College was established. Due to its history, it’s no surprise that students believe that the building is haunted. The ghost of Eugene O’Neil is believed to be haunting the fourth floor. For some reason, the lights on the floor are dimmer than other floors. Students tell stories of hearing footsteps and other strange noises in the hall at odd hours. Some have experienced knocking at their door in the middle of the night. When the students go to see who is at the door, no one is there. 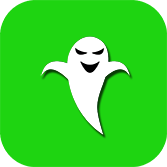 Find out more about Shelton Hall and 40 other haunted locations in Boston with the Boston Ghost Map in iTunes for only $1.99.